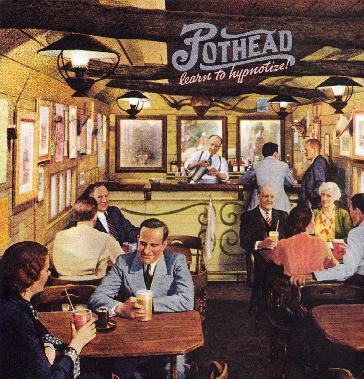 Pothead - "Learn to Hypnotize"
This is a re-release of the long out of print classic rock record from 1997. If you don't know POTHEAD you should check this amazing band out. They are a three piece band based in Berlin (2 Americans and one German), who write some of the most memorable, original and coolest rock and roll songs you could imagine. I was turned on to them a few years ago and got hooked and this is actually one of my all time favourite records. I can't recommend it more highly. The music is somewhat stoned in a not normal way. Amazing songs like Indian Song, Twisted Tomato, Henry and Mabel (killer ballad!) and Saul. A lot of the songs from this CD are standards in the bands live set, even today! Classic. What do they sound like? They sound like Pothead. They have their own sound.